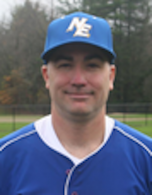 Since Coach Mejia came to Northern Essex in 2013, the Knights have been crowned New England Regional Champions and earned a bid to the NJCAA World Series for the third, fourth & fifth time in the program’s history. For these accomplishments, Coach Mejia has been named the New England Regional Coach of the Year in 2013, 2014 & 2015. Previously, Coach Mejia was a long- time Assistant Coach of Suffolk University. During the past three seasons, the Knights finished 67-34 (.665%), with a 40-17 (.700%) record in New England, 31-10 (.760%) in League Play and a 9-2 (.825%) record in the New England Regional Tournament. Coach Mejia will be sharing his thoughts and coaching style when it comes to base stealing – an area his teams have excelled in and one you don’t want to miss.